Guitar Center Beaumont is one of the strongest driving forces in the music community, and the moment you step into our shop, you'll quickly understand why. From keyboards, drums and pedals to lighting, basses and more, Guitar Center Beaumont's selection is massive. Additionally, we have the largest used inventory in the area and it's always changing, so you never know what kind of rare amp or vintage axe might show up. Or, if you're ready to take your playing to the next level, be sure to check out one of our "Recording Made Easy" workshops held every Saturday morning, where we will guide you through what you need to know in order to create a high-quality demo. Of course, if you have any questions at all, give us a ring at 409-347-3020 and we'll be glad to give you an answer. Guitar Center Beaumont provides comprehensive guitar repair services for the Beaumont area. Our repair technicians are as passionate about your guitars and basses as you are, and we have the experience needed to keep them performing at their best. Whether you need a quick adjustment to make your guitar easier to play, or a complete guitar rebuild, we have the tools and know-how to take care of your instrument. Guitar Center Beaumont can also help build a maintenance plan that fits you and your guitar or bass needs, including custom setups, restrings and more. We also take care of fret repairs, hardware and pickup installations, upgrades and customizations, bone and graphite services and more. Here in Beaumont, we're home to a diverse range of musicians that cover a wide variety of musical genres, and since 2006 Guitar Center has been proud to serve each and every one of them. Whether you're a DJ who hits the clubs often, an aspiring drummer who's still in the early stages of playing, or an audio engineer who's building a home setup, we have something for everyone. Not to mention, our team is made up of the friendliest group of music experts you could ever meet, and they're always happy to help you find what you need to put your musical skills into action. Stop by and visit us soon! 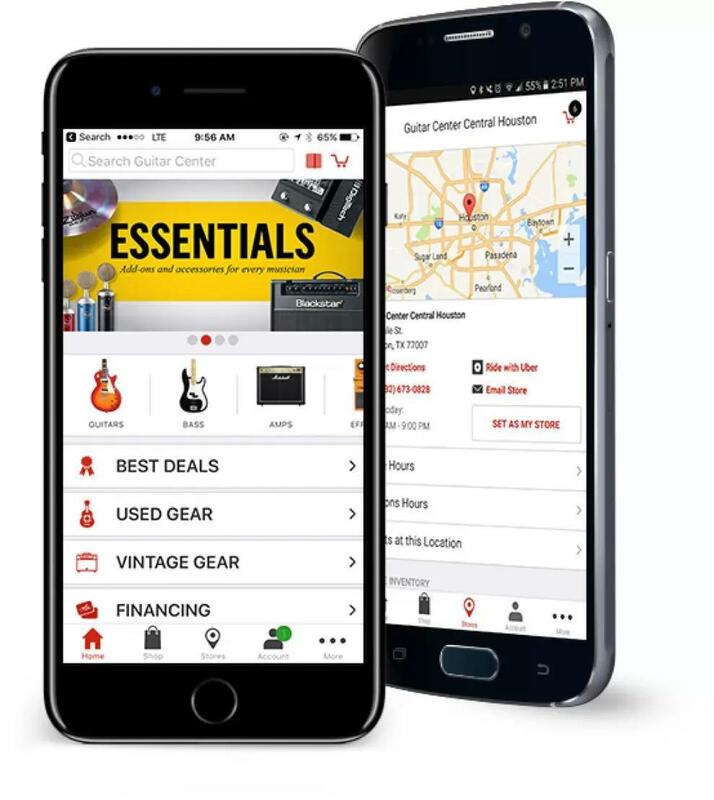 We're located at 4025 Dowlen Road (just behind FivePoint Credit Union), so you'll have no problem finding us.First and foremost at Guitar Center Beaumont, we strive to give you the experience that Guitar Center is known for nationwide: big-store selection and prices with small-shop expertise and personality. From sales and repairs to workshops and more, our staff in each department is well-trained to cater to Jefferson County music-lovers. Our store is open every day of the week, so there's always a right time to visit even if you're on a busy schedule.